It’s a full moon on this summer night along Surf Avenue at Coney Island. 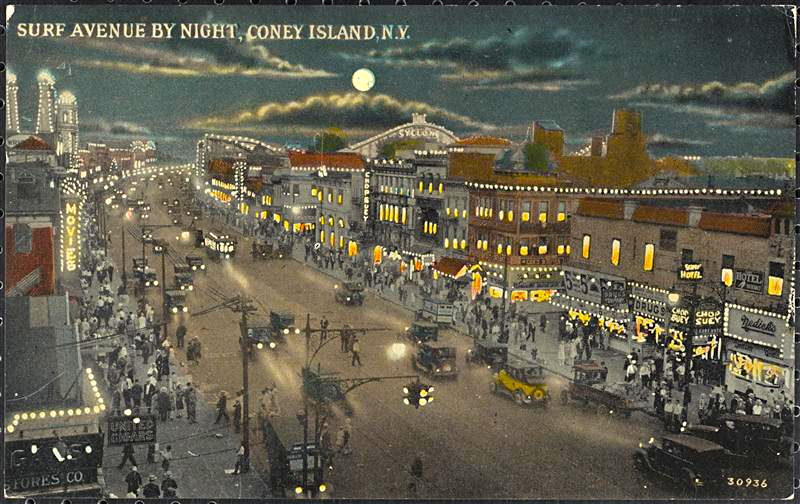 It’s the late 1920s, electricity is illuminating restaurant and theater marquees; cars and trolleys cruise the road. There’s a Nedick’s, the old hot dog chain, and a chop suey place, serving that invented Chinese dish. The moon shines bright over the Cyclone, which must have been just built; it dates to 1927.